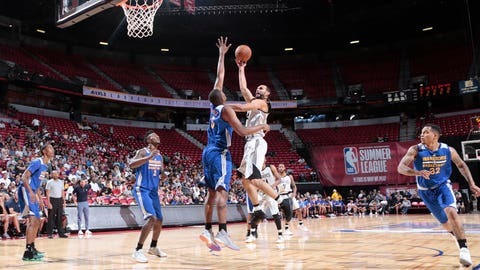 Rookies Josh Okogie and Keita Bates-Diop headline the Minnesota Timberwolves‘ summer league team, a group that also features G League standout Amile Jefferson. The Wolves will play three games from July 6-9 in Las Vegas to determine the seeding for a tournament, which begins July 11. Minnesota takes on Denver on July 6, Toronto on July 7 and Brooklyn on July 9. The Wolves’ summer league squad will feature one notable absence: Second-year center Justin Patton. The 21-year-old made just one appearance for the Wolves as a rookie, spending much of the season with the G League’s Iowa Wolves. Patton underwent offseason foot surgery earlier this year, and will reportedly be sidelined throughout the summer.